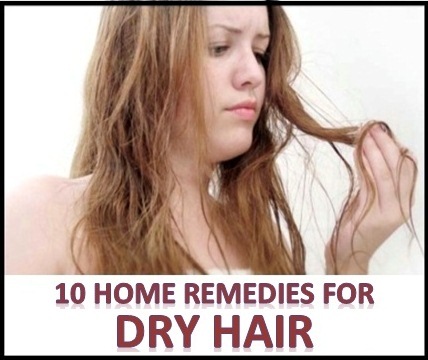 Dry hair is a worse condition of hair because it leads to the hair fall and dandruff. Another disadvantage of dry hair is you can’t feel your hair healthy and never try to make some beautiful hairstyles. You always feel embarrassed in front of people at the public place. 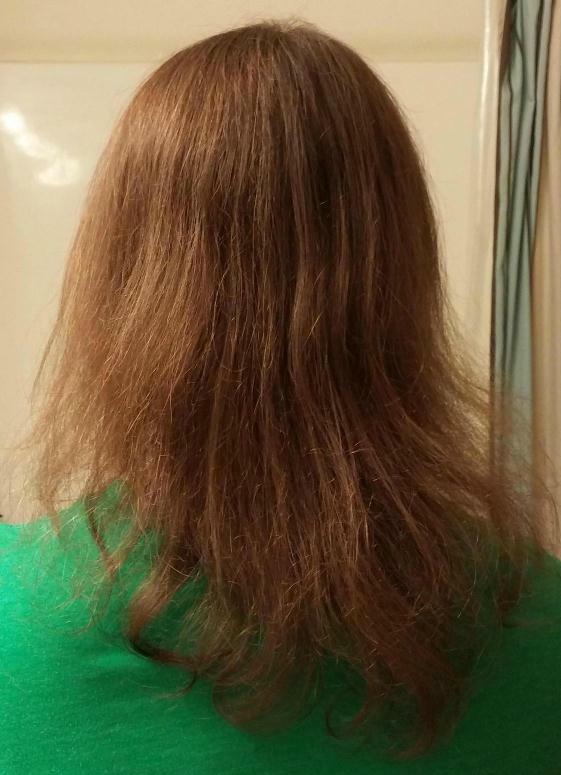 That is the reason you should have to get a proper treatment of your dry hair at your earliest. It is good to know about the reason of dry hair so you can stay away from the conditions that are the results of dry hair. When your hair loss the power of absorption or retaining enough moisture which results in a brittle and lackluster appearance of hair. The reason behind this is the malnutrition or nutritional deficiencies, lack of vitamins and minerals in your diet, usage of harsh products that are responsible for dry hair, excessively washing your hair and hair dye. The purpose of making you aware from that circumstance is that you keep yourself prepared for the good diet. Also you can take advantages from the natural herbs that will definitely help you in reducing the dryness of hair with the pure cure. Here the useful ten home remedies. Olive is a common remedy for dry hair. Olive oil is enriched with vitamin E and antioxidant content that help in repairing the damage parts of hair by sealing the cuticle (outer layer) with moisture. Take a cup or bowl and fill it with olive oil then slightly warm it in the microwave oven. Apply the warm oil on your scalp and massage gently with the finger tips under the roots of hair. Cover your hair with a warm towel and leave it all the night. At last, shampoo your hair with the products that suit the type of your hair. The smooth mayonnaise is great for the treatment of dry hair. Mayonnaise has a packet of protein that helps making your hair shiny and soft. Take one cup of full-fat mayonnaise. Apply a thick layer of it on your scalp. Massage the mayonnaise thoroughly with the finger tips working from the roots to the ends. Cover up your hair with a plastic cap for an hour. Rinse hair with lukewarm water and then shampoo your hair. Repeat the procedure weekly for hydrating your dry hair. Eggs also take part in the treatment of dry hair. Eggs are full of protein and lecithin contents. Eggs help in strengthen and repairing of damaged and lifeless hair because protein add moisture to your hair and convert it into shiny and softy texture. Take an egg and whip it thoroughly with the addition of some lukewarm water. Apply this mixture to your dry and dump hair then massage all over your scalp with using the finger tips in a circular manner for about 15 minutes. After that shampoo your hair with the cool water. Beer acts as an excellent hair conditioner. Protein present in beer helps in repairing the damaging parts of outer layers of dry hair and nourishes the follicles of hair that result in shiny and beautiful smoothness. Shampoo your hair first then spray some amount of beer on your hair. Allow your hair to dry naturally. It will then look smooth and shiny. Avocado remedy is great enough to treat the dry hair because it contains all such things that are necessary possible to convert dry hair into shiny once like vitamin A and E, protein and several other minerals that are strongly beneficial for reducing the damaged hair. Avocado is also helpful for adding the moisture to dry hair. Peel one ripped avocado. Mix one tsp of wheat germ oil and one tsp of jojoba oil in the avocado and then make a smooth paste. Apply this mixture on the freshly washed hair from the roots to the ends. Cover your hair with a shower cap and leave it for half an hour. Shampoo your hair with the lukewarm water. 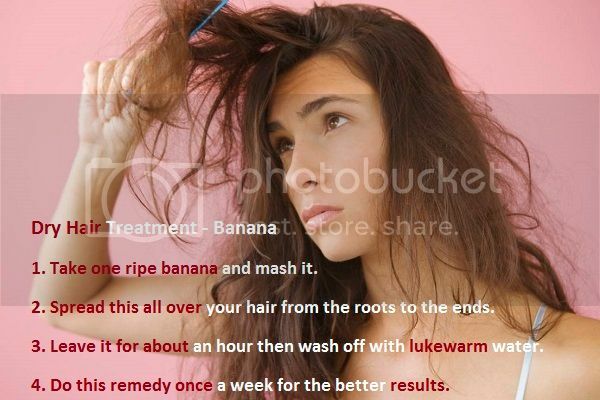 Banana is found as an excellent fruit in the treatment of dry and unhealthy hair. High amount of potassium and moisture contents are present in bananas that help in protecting the split ends, softens, and improves the elasticity of hair. Take one ripe banana and mash it. Spread this all over your hair from the roots to the ends. Leave it for about an hour then wash off with lukewarm water. Do this remedy once a week for the better results. Honey is also supposed to use as home remedy for dry hair. Honey is used because it has ability to trap moisture into your hair for the sake of making your hair soft, shiny and well nourished. Take a one-half cup of honey. Apply the honey after having your hair freshly washed. Damp hair and massage all over your scalp with the gentle hands. Cover your head with a shower cap for half an hour. Follow this remedy twice a week for the desirable results. Another tip is to mix some amount of honey with the good conditioner that suits your hair type and you use it regularly after shampooing your hair. Use this tip no more than once a week. Aloe vera is a most common and amazing remedy for all the hair type so that for dry hair. There is a huge combination of vitamins, minerals, and amino acids in aloe vera present that greatly reach benefit to your dry and lifeless hair. Mix half cup of aloe vera gel with two tsp of castor and powdered fenugreek, and one tspf of basil powder. Mix all of these ingredients well together and apply on your scalp and hair. Do this remedy once a week for the good results. Sesame oil has high content of nutrients and emollient-rich properties. Sesame oil also helps in preventing the dryness and healing the outer damaged layer of hair whereas its antibacterial, antiviral and anti-inflammatory actions prevent hair loss. Mix three tsp of sesame oil with some grated ginger. Massage it thoroughly all over your scalp for 10 minutes. Wrap your hair completely with a warm towel and leave it for 10 minutes. At last, shampoo your hair as usual. 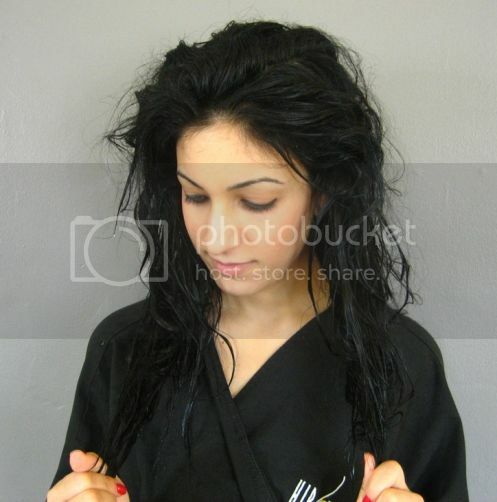 Vinegar is also very efficient for dry and damaged hair. Vinegar helps in removing the particles of shampoo that are left in the hair after washing it that is the main and possible cause of dry hair. On the other hand, vinegar also helps in restoring the natural pH level of the scalp and protects itching and dandruff as well. Take half cup of vinegar and mix it with one cup of water. Use this solution for washing your hair. Allow it to sit for 10 minutes and then rinse it off. These all above remedies will help to reduce dryness on your hair, but if you have less hair on your head and you want to grow your hair again then you need to see our 2 methods (herbal and natural) for Regrow hair.